Cassandra is the owner and director of Spirit Path Yoga and Wellness, and has been in practice as an Acupuncturist since 2004. She holds a Bachelor in Fine Arts from the Maryland Institute College of Art and a Masters Degree in Acupuncture from Maryland University of Integrative Health (formerly TAI Sophia). She earned her Ayurvedic Practitioner certification through Spirit Path Ayurveda Education, and has done continued studies in East Asian Medicine. In practice she incorporates Acupuncture, herbs, diet therapy, lifestyle counseling, manual therapies, subtle energy healing, yoga therapy, and works with all ages including newborn care. She has assisted many people in their journey into wellness and empowers patients to take responsibility for their health. She not only works with patients, but also provides extensive wellness education opportunities to the community. I practice Japanese style Acupuncture based in a solid emphasis of palpation techniques, it’s painless and gentle but so very effective. Using careful location and stimulation of appropriate points to allow immediate changes in the Qi and return of health. A skilled, touch-based diagnosis helps to give patients individualized care and treatment. Shakuju therapy and moxibustion are the main approaches to treatment, and also meridian therapy, sport acupuncture and strongly advocating Sotai therapy exercises to provide the client with very gentle and very effective treatment. Techniques are based in palpation and light superficial needling that is very comfortable and relaxing, while addressing root imbalances and allowing the body to make natural corrections and achieve optimal health and longevity. Rande has spent many years in advanced trainings with Japanese masters on techniques of treatment including palpation, needling, moxa and teishin techniques. Sotai movement therapy makes for a comprehensive approach to treatment using more than Acupuncture. Supplementation is sometimes needed and this is accomplished with Fukushin Abdominal Diagnosis and Kampo Herbal Medicine. Japanese medicine is a passion for me. Each patient has different needs and building a connection with each and every patient is an important facet of healing. The focus of family health and bonding is an eminent feature of longevity, I advocate the whole family receive Acupuncture as it is so beneficial for all ages. Rande is a thirty year Alaska resident, she is well aware of Alaskan’s unique lifestyles and needs. Rande’s lifetime passion has been in medicine and human physiology and movement. It started at a very young age, following her veterinarian father like glue on his shoes. Went into critical care and heart nursing, and is presently 20 years in practice as a Licensed Acupuncturist. A lifelong interest in medicine has led her to work with clients who have all types of problems and who want to regain vitality and ease in life with less pain, better function of movement and improved day to day functioning. Thinking about promoting longevity involves addressing complex medical problems from a level of root imbalances. It takes time to get better and strengthen the whole vitality, but you can still be working with symptoms of pain management, traumatic injuries, post-operative care, immune disorders, headaches, digestive disorders, chronic fatigue, and assisting cancer patients during their treatments. These are some of the types of things regularly seen and treated in practice. Treatment of the whole family includes kids acupuncture. It is a needleless technique called Japanese Shoni-shin. Advanced training in pediatric Acupuncture is expanding Rande’s practice and it is very rewarding to see the positive changes in children using non-insertive, non-needle techniques like Shoni-shin, kids love it! My passion is exploring the therapeutic benefits of sound and providing sound therapy sessions. My journey into immersive sound began after attending my first gong bath. Since then, I have dedicated myself to learning more about the powerful vibrations I was feeling in my mind and body. My life is dedicated to exploring how our bodies resonate with sound and how the body’s resonance in an immersive sound field can help to reduce stress and anxiety, and provide a sense of well-being. Along with the gong sessions, I will be providing immersive sound bath treatments. While lying on a yoga mat, I play various gongs and resonant bowls to create an immersive sound field of vibrations. I addition to the relaxing and meditative sound, physical sensations of resonance with the body are created in the experience. This can result in deep relaxation and decreased anxiety. I am a certified Sound Healer and gained my certification through Globe Institute Sound and Consciousness. I specialize in using the gong, crystal bowls and Tibetan bowls to assist in bringing the mind, body and spirit into balance. I am also a certified and accredited Drum Circle Facilitator through Village Music Circles and the Drum Circle Facilitators Guild. It is thru this training that I became aware of the power of the drum and the healing effects on the heart and mind. I facilitate monthly community drumming circles in the winter as well as drumming circles for celebration of life ceremonies, celebrations and corporate events. I am dedicated to developing my art and practice as a musician and sound healer. I am honored to be providing this new therapeutic experience at Spirit Path Yoga. I look forward to working with you! Jule blends Cognitive Behavioral modalities with ancient wisdom from Ayurveda and Yoga. Integrative Counseling incorporates talk therapy, diet, herbs, lifestyle, aromatherapy, yoga & meditation techniques to facilitate deep healing for the body, mind, and spirit. When there is struggle or suffering in the mind, it affects our emotions, our bodies, our lives, and those around us. We then often act or exist in a way that causes more pain, dissatisfaction, and unhappiness. We get caught in a cycle of suffering that can become hard to break. Afflictions and suffering in the mind can be a great tool for self-discovery, growth, or spiritual realization. Oftentimes they are great catalysts for change. Sometimes we need help and don't know where or how to start this process. Integrative Counseling can help you work through many life challenges. Dr. Madeleine Morrison is a licensed naturopathic primary care doctor and she received her Naturopathic Doctor (ND) degree from the oldest naturopathic medical school in North America, the National College of Naturopathic Medicine (NCNM) in 1995. NCNM is listed in the PRINCETON REVIEW'S "Best 168 Medical Schools", 2007 Edition. While at NCNM she completed her degree in Naturopathic Obstetrics, a 3yr clinical preceptorship, involving pediatrics, gynecology as well as obstetrics. Additionally, she completed a graduate course in environmental medicine at the Southwest College of Naturopathic Medicine. She has given lectures at Bioneers, Inner Dance Yoga studio, Alaska Club and UAA. Dr. Morrison has also written a variety of articles for publication. Dr. Morrison grew up in San Francisco and received her B.A. in biology at the University of California at Santa Cruz. Prior to moving to Alaska in 1996, Dr. Morrison lived in Snowmass, Colorado, Northern California and Portland, Oregon. She has 2 children and resides in Eagle River. She enjoys yoga, running, biking, hiking, gardening, cooking, reading and playing with her kids. 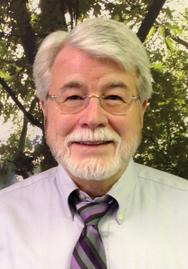 Dr Torrey Smith ND has been a naturopathic doctor since he graduated in 1992 from NUNM (National University of Natural Medicine: the oldest federally accredited naturopathic medical university in North America and a leader in natural medicine education and evidence-based research). He is a life long Alaskan and has been successfully treating individuals and families in Anchorage since 1992. It has been his pleasure to help restore health and balance to thousands of great Alaskans since that time. Dr Smith loves to look for every possible clue to figure out the correct diagnosis and cause of disease by pouring over all the labs, tests, and imaging, and symptoms that patients have had past and present to figure out how to most deeply achieve wellness. His goals are to go from frail to fantastic no matter the age or condition. He deeply cares about, and enjoys his patients, and feels incredibly lucky to spend his day with so many amazing souls. When he is not at the clinic or deep into medical journals he loves spending time with his beautiful wife Leesha and their 6 children and 5, soon to be 6 grandchildren. His hobbies are playing guitar, gardening, hiking, and being with friends. Marina is a Family Nurse Practitioner who specializes in primary care for patients of all ages. Trained as a Western Medicine Practitioner, she is also fascinated with Eastern Medicine philosophy and traditions. She enjoys reading new medical discoveries and learning more about health and wellness. Marina graduated with a master’s degree in Nursing in 2016 from Gonzaga University. She received her bachelor degree in Nursing from the University of Alaska Anchorage in 2010 and a bachelor degree in Natural Sciences from the University of Alaska Anchorage in 2001. Her philosophy is based on treating the whole person using foods as medicine, supplements, exercise, and lifestyle changes, gratitude, detoxification and stress management regimens and in certain situations conventional medication. She focuses on prevention through lifestyle management, nutrition, exercise, and stress-reduction. She is a strong believer in the body-mind-spirit connection and believes that the journey to wellness starts with the decision to become well. Her goals are to provide evidence based, quality care for acute and chronic conditions. She is excited to share her experience and knowledge with you, learn with you, and partner with you on your way to wellness. She loves to grow her own food, be outdoors and enjoys spending time with her family. Jayne was born and raised in Valdez, Alaska. She received her masters in Oriental Medicine from South West Acupuncture College in Sante Fe, New Mexico in 1995 and has been treating Alaskans ever since. Jayne enjoys world travel and has a love of learning. She said after twenty-plus years of practice she is still excited about all of the amazing healing she has seen and the power of this medicine. Julia Moore is a licensed acupuncturist and has been practicing in Anchorage since 2008. She earned a Masters degree in Acupuncture from the Institute of Taoist Education and Acupuncture (ITEA) in Louisville, CO; a small school dedicated to the teachings of Worsley Style Five-Element Acupuncture. She is certified by the National Certification Commission for Acupuncture and Oriental Medicine (NCCAOM) and maintains her national certification and state licensure through ongoing continuing education. In Addition to acupuncture treatments, she incorporates manual therapies such as cupping, gua sha, Zero Balancing, and acutonics. Prior to studying Acupuncture, she received a BS in Chemistry from Fort Lewis College in Durango, CO. She has worked in the oil fields of Prudhoe Bay and as an environmental chemist and consultant. She is a life long Alaskan resident and enjoys being active in nature: hiking, skiing, kayaking, or reflecting by a mountain stream. She also enjoys, quilting, reading, traveling, yoga, and volunteer opportunities in her children’s schools as well as a volunteer usher for the Performing Arts Center. Since 2013 Angela has practiced as a Therapeutic Massage Specialist . She graduated from Alaska Career College with full honors and as the Valedictorian of her class. Since then, she has undergone intensive continuing education in orthopedic massage. Angela has worked within local Alaskan clinical environments, chiropractic offices, and professional athletic centers. In each of these settings, Angela employs a range of refined massage techniques to help patients supplement and/or reduce analgesic pharmaceutical medication. Her passion and her education are centered around assisting the members of her community in identifying, managing, reducing and ultimately eliminating pain. Angela works primarily to restore equilibrium within the nervous, immune and cardiovascular systems through physical manipulation of anatomy. In addition to offering therapeutic massage, Angela also encourages patients to make lasting lifestyle changes to support optimal functioning, pain free living and overall wellness. Due to her steadfast dedication in understanding the complexity of human anatomy; Angela is adept at offering specific massage programs to help her patients continually progress towards their lifestyle goals. Angela is a mother to three wonderful children and grandmother to her family's newest addition. In her free time she enjoys volunteering at local events (mainly performing massage), exploring the last frontier, reading and exercising. She became a part of the Spirt Path Yoga and Wellness team of providers in the Fall of 2018.